We strongly recommend creating an account before purchasing downloadable products. Some customers have had issues with guest downloads. We will not share any of your information with anyone. Between June 7th and 14th, 2014, TSG Multimedia's cameras were on hand to document the Niles Canyon Railway's third Steamfest. A major highlight of the weekend was this steam quintuple-header! Santa Cruz Portland Cement No. 2 is an 0-4-0T that came to Steamfest III from Washington state. 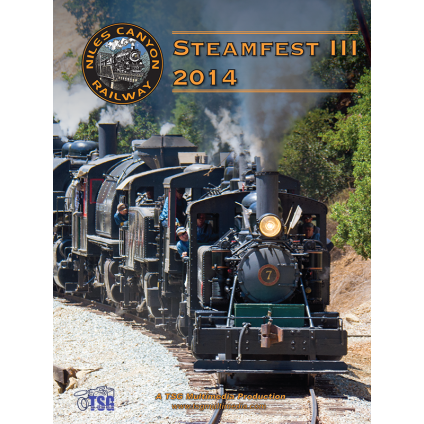 Steamfest III 2014 captures all the action of a very special event that took place between June 7th and 15th, 2014. 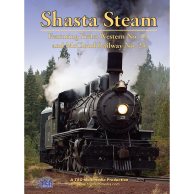 The Niles Canyon Railway and the Pacific Locomotive Association hosted Steamfest III. The largest Steamfest event yet, this one featured five working steam engines in California’s beautiful Niles Canyon! The locomotives performed spectacular double-headed, triple-headed, and even quintuple-headed photo run-bys! 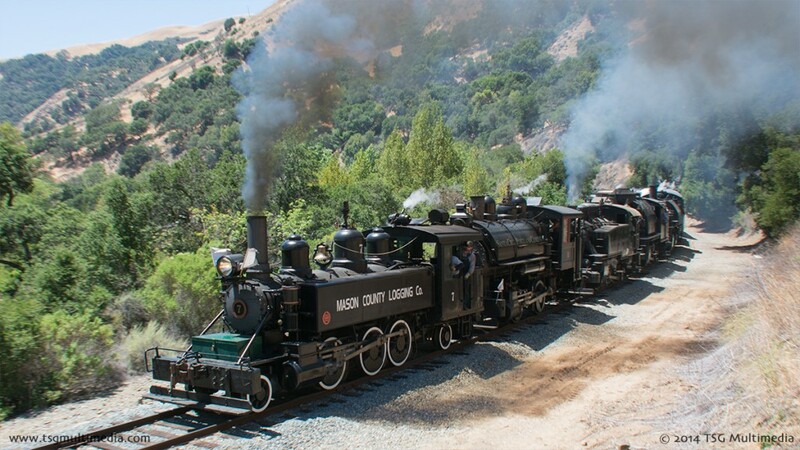 During the weekends the locomotives worked independently and in pairs hauling passengers through scenic Niles Canyon. Quincy Railroad Co. No. 2 and Robert Dollar Co. No. 3 are both Alco 2-6-2Ts that call the Niles Canyon Railway home. Clover Valley 2-6-6-2T No. 4 is another Niles Canyon locomotive and one of only two operating 2-6-6-2Ts in North America. Mason County Logging Co. No. 7 is another 2-6-2T from the Roots of Motive Power collection in Willits, California. And new for this year was Santa Cruz Portland Cement 0-4-0T No. 2 (a.k.a. “The Chiggen”). Steamefest III 2014 features spectacular shots from both on and off the photo lines. TSG Multimedia’s crew was there to cover the entire event. Friday, June 6th was not officially part of the event, but our cameras were on hand to catch the action in Brightside yard as volunteers prepped the locomotives for service. We also recorded an interview with Efstathios “Stathi” Pappas, the man who restored Santa Cruz Portland Cement No. 2 to operation. On Saturday, June 7th and Sunday, June 8th we were there to record all five steam locomotives hauling weekend passengers up and down the railroad between Niles and Sunol. Monday, June 9th featured a “Loggers Special”. A photo freight and a passenger train did photo run-bys at various points in the canyon. Clover Valley No. 4 pulled the freight train and Mason County Logging Co. No. 7 and Santa Cruz Portland Cement No. 2 were doubled-headed on the passenger train. Tuesday, June 10th, was a special day for PLA members only. Mason County Logging Co. No. 7 and Santa Cruz Portland Cement No. 2 were teamed up again to pull a special “Sunset Excursion” through the canyon. Thursday, June 12th, featured “Mixed Freights”. This was another photo excursion. Mason County Logging Co. No. 7 and Santa Cruz Portland Cement No. 2 pulled work train and Quincy No. 2 pulled a mixed train with both passenger and freight cars. About halfway through the day No. 7 swapped trains. After that the mighty Chiggen hauled the work train back up the hill to Sunol all by itself! Not bad for an 0-4-0! Friday, June 13th, was anything but unlucky. This was the main event. It featured a single long passenger train with all five locomotives running quintulple-headed! Several run-by stops were made, and we recorded all of it. This event represented a truly massive effort by PLA volunteers and all the other organizations involved. It is definitely something to remember. 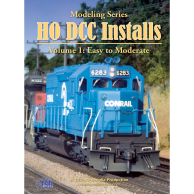 Join us for a look at these amazing operating steam locomotives! 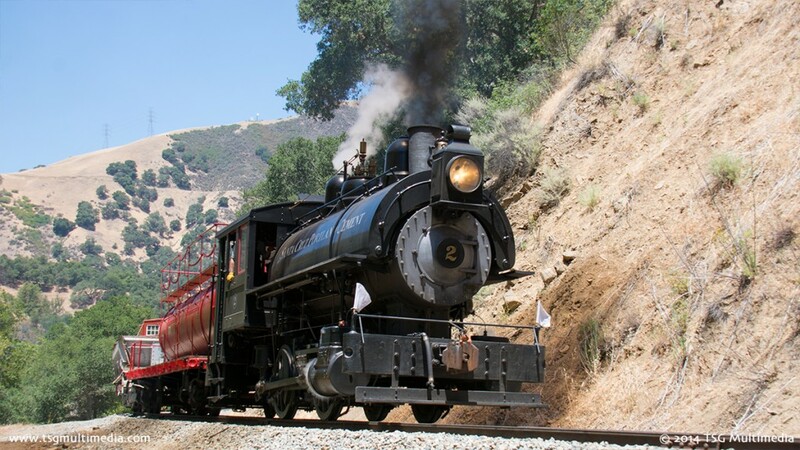 If you would like to learn more about this railroad, visit the Niles Canyon Railway.